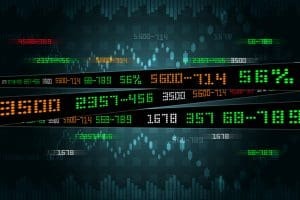 What is Stock Trading? Learn to Trade Stocks Now! For most of the 20th Century, an investor had to talk to a representative of a brokerage firm and fill out a paper application in order to buy shares of common stock. The telephone, whether attached to a wire or carried, was the only device that could save the investor the time and effort of standing in line. When the telephone failed clients of the few discount brokers available during the stock market crash of 1987, frustrated clients formed lines that wrapped around blocks in New York City. No longer does the individual investor have to make an appointment as one would with a doctor or lawyer; the market for shares is available on a desktop computer or mobile phone. The 20th Century’s lack of access, except for the most financially privileged, has been replaced by unlimited and immediate access for half of the world population that has been connected to the Internet. But with so many platforms to trade stocks, where do you start? Which platforms are trustworthy and how do you trade stocks online? Read on to find out the answers to all these questions in our comprehense stock trading guide. eToro allows a mobile phone user to open an account and begin virtual trading almost immediately. An investor can set up a demo account and establish a virtual $100,000 portfolio for practice before putting real money to work. When the investor feels ready to play the game for keeps, then documentation of identity and citizenship can be uploaded directly to the eToro site. With a deposit of as little as $200, a novice investor can then buy and sell shares of common stocks with a tap or a swipe on a mobile phone. Opening an account with eToro is simple, fully digital, and can be completed in one day. Sign up with your email account or with your Facebook or Google+ account, and immediately start trading with a $100,000 demo account. Then select from shares of one of the best-known international companies like Amazon, Apple or Lloyds. In order to put real money to work, fill in a customer profile a deposit up to $2000. For a larger deposit, prove citizenship and residency by scanning and uploading a passport or personal ID with a copy of a utility bill that includes an address. You can deposit fund in US Dollars or another currency, which will be converted to dollars for a 0.0025% conversion fee. The deposit can be made by bank transfer, credit or debit card, Paypal, Skrill, Neteller or Webmoney. Place market, limit or stop-loss orders to buy shares of the common stock selected. Fill in your name and email, then select individual, joint or IRA as the type of brokerage account to open. Enter birthdate, country of citizenship, marital status, number of dependents and Social Security number for tax purposes. Enter address, phone number, security question and answer. Enter employment status. This is necessary to ensure that the investor is not an employee of a securities business, a director of a major corporation or a senior political figure. You must then provide some information about your previous experience trading stocks, as well as you investment objective, time horizon, liquidity needs, risk tolerance and whether or not a margin account is required. You will then be able to deposit funds into your account to begin live stock trading. The deposit process can be done via wire transfer from bank. 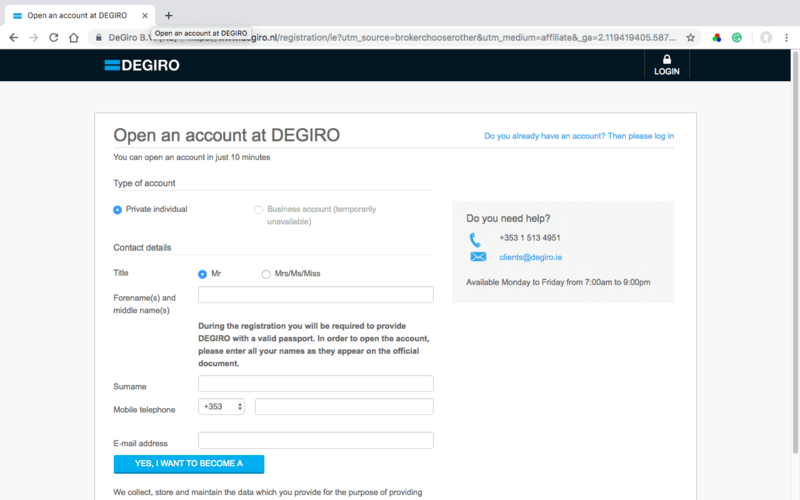 The first step to trading shares with Degiro is to register with investor name, phone number email address and choose Business Account or Private individual. You will then be required to choose from five types of share trading accounts: Custody, Basic, Active, Trader or Day Trader. A separate account is required to trade Contracts for Difference (CFDs). You must then complete a test for suitability to certify awareness of the financial risks of trading and agree to conditions for real-time prices. We recommend that you deposit via bank transfer in the base currency of the investor’s home country so that currency conversion fees won’t be charged. The transfer could take up to three days. DEGIRO also accepts deposits from the SOFORT and Trustly deposit service providers, which can take as little as 30 minutes. eToro offers a unique proprietary trading platform that allows for social trading, a speedy account opening process, excellent charting for technical analysis and social trading. Copy Trading allows investors to follow the leads of robot advisors or eToro’s most successful clients by linking a portion of the investor’s funds to the copied investor’s account. Education and training via videos and webinars offer the newcomer a chance to get used to a fast-moving trading environment. eToro is a great place for beginners because it allows virtual trading in a Demo Account, before putting real money at risk. 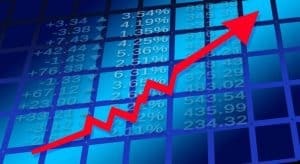 The robust proprietary web platform at Markets.com features an excellent collection of fundamental research tools that include analyst recommendations as well as insider and hedge fund activity. Investors can open accounts with as little as $100 and be paid scaled bonuses with larger deposits. Mobile phone applications synchronize with the desktop platform. Educational and research content is underpinned by Trading Central tutorials and video-on-demand. All trading is in contracts for difference (CFDs); no ownership of shares of common stock is available. 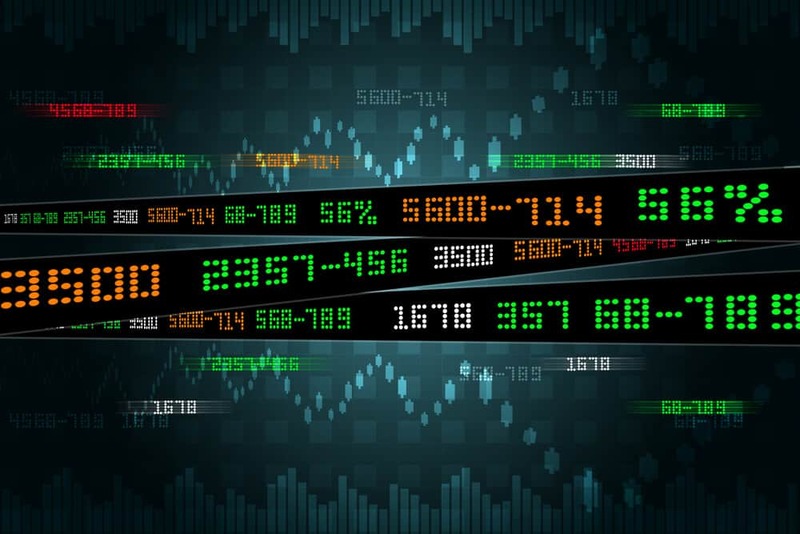 24Option allows traders to download and use the industry standard MetaTrader 4 (MT4) platform, which allows for advanced technical analysis, but the 24option desktop platform may be suitable for most investors’ needs. Many educational videos are available onsite, and 24option offers as many as 10 live webinars per month. Investors can buy shares of individual common stocks as well as commodities like gold and oil. 24option offers 24-hour support via online chat as well as phone and email support. DEGIRO is a Dutch online discount broker, but access depends upon bank account country, not investor residency. Regulated by the Dutch Central Bank (DNB) and The Netherlands Financial Markets Authority (AFM), accounts offer €20,000 investor protection. 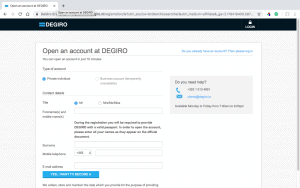 DEGIRO has an easy account opening process, and there is no minimum deposit, but opening an account can take days. Investors looking for quality execution will find order types that include limit, stop-loss, stop-limit, trailing-stop, day and good-till-canceled (GTC). DEGIRO provides access to 32 stock exchanges where options, ETFs, mutual funds, bonds, futures and CFDs are available. Ally Invest, formerly known as TradeKing, is part of a diversified financial services company that includes banking, lending and a wide variety of asset classes on their InvestLIVE platform with real-time quotes on all displays, including mobile. Ally’s technical research functions allow backtesting, and long-term charts are customizable. Extensive fundamental research includes mutual fund and fixed income screeners. Ally offers webinars several times per week as well as a library of articles on general investing topics. 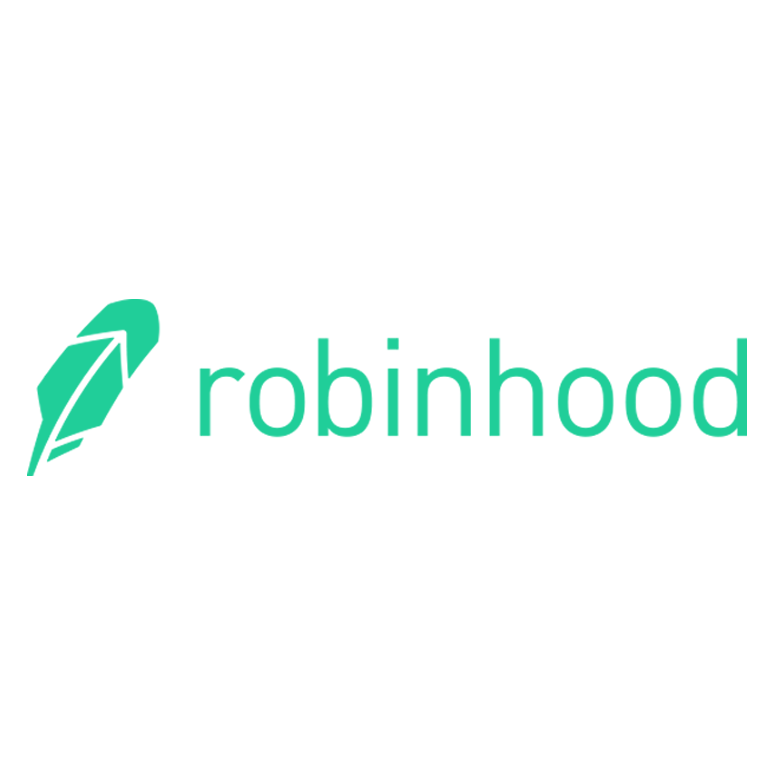 Robinhood is a “zero-fee” discount broker located in the US, regulated by FINRA and thus provides up to $500,000 investor protection. 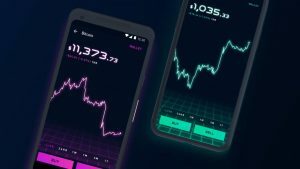 Robinhood offers commission-free US stock trading without withdrawal or inactivity fees, but day trades are limited to three per week. Account opening is fast, fully digital, with no required minimum balance, but deposits are only by bank transfer. Investors may enter limit, stop-loss, stop-limit, and good-till-canceled order types, and can set up alerts and push notifications. Bear in mind, that stock trading is considered a ‘high risk’ activity and can result in a partial or total loss of your investment funds. We suggest to invest amounts that you are willing to lose. Robinhood, unlike the beneficent outlaw of Sherwood Forest, does not claim to rob from the rich but does intend to give “the poor” everyman the same fair shot. As long as an investor day trades no more than three times per week, the Standard/Instant Account trades are free. But if the investor needs to be more active, buy a non-US stock, or trade on margin, then more money is required for commissions or a minimum account balance. eToro offers trading with no up-front commissions, immediate leverage via margin trading and opportunities to trade exotic investment products. As long as the trades are complete by end of day, the investor stays active, and does not withdraw funds, trading remains free. Holding an investment overnight, allowing an account to lie dormant, or taking a withdrawal will cost. 24option offers trading in stocks, Forex, CFDs, commodities and indexes with a low minimum deposit, multiple deposit methods and the ability to use the MetaTrader 4 Trading Platform. Customer service is always available to help 24/7 via phone, chat or email. But when an investor wants to get deposited funds back, it will cost 3.5%—$35 on $1000 or $350 on 10,000.
eToro offers mobile versions for iOS and Android, which allow an easy synch with desktop platforms. Menus are well organized, users can set custom price alerts and push notifications about market events. The order entry system is conveniently identical to the web version. The Markets.com mobile app allows alert notifications via email, SMS and push. The mobile platform is very similar to the web platform and thus it allows an efficient transition. But charting does not work as well on the phone as the desktop, and orders cannot be placed in off-market hours. Robinhood was a mobile app before it was a website, and its minimalist design allows for ease of execution. It is user-friendly, available for iOS and Android, and has the same functions as the desktop platform. Watchlists are synched between the app and the website, but the stock screener and recommendations are not. eToro allows access to its demo stock trading account immediately upon registration, with $100,000 of play money and a list of the best-known stocks in the world. Novice investors can practice trading, social trading and copy trading before ever putting money at risk. The demo account is available on both the mobile and desktop platforms. The Markets.com proprietary web platform CFDs and Forex allows an investor to practice on a demo account before risking real money. While practicing, the novice investor can take advantage of videos in the Knowledge Center and trading tips from experienced investors. The investor can try it before buying it. The 24option demo account is accessible for free with no required deposit. 24option offers trading in over 160 individual stocks and as many as 10 live webinars per month, so users of the demo account may practice and learn before taking the leap into the risk of loss. The company’s trading platform has an intuitive interface, and the broker offers novice traders an extensive educational program. The availability of a demo account is often a good signal of the reliability and transparency of a platform. Trying to trade in demo mode first is always advisable because it allows you to familiarize yourself with the proceedings of the broker. Once an investor has settled on where to trade shares of common stocks, the next question is which stock and when. Choosing which shares involves fundamental analysis; deciding when to trade requires technical analysis. Then the investor must consider recent news, earnings reports and analyst estimates. 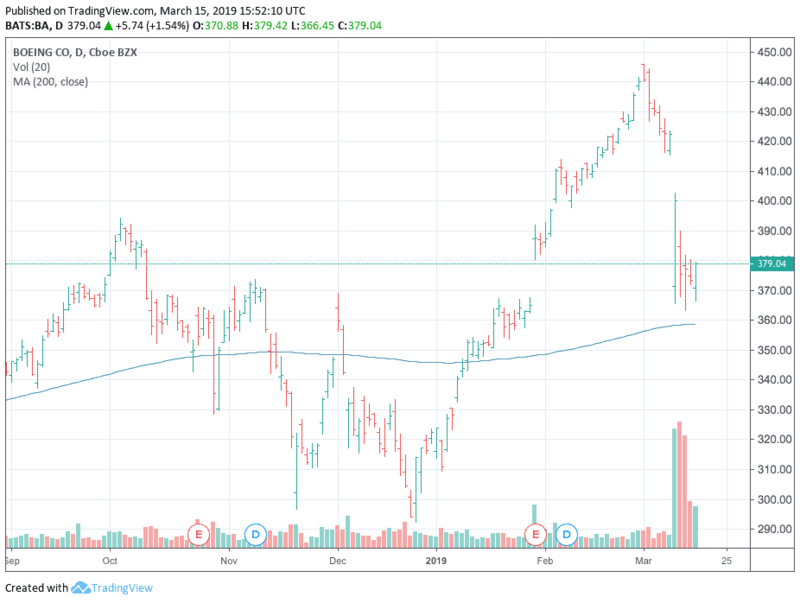 Boeing (BA) lost 15% of its market value in the two weeks from March 1st to March 15th, which included the crash of Ethiopian Airlines 737 Max 8. Boeing may be worth a closer look. According to the Wall Street Journal, “such accidents, however tragic, do surprisingly little damage to the business of selling aircraft.” Analysts project Boeing’s earnings growth to continue at over 20%, and based on five-year dividend growth, is at a deep discount to its intrinsic value. 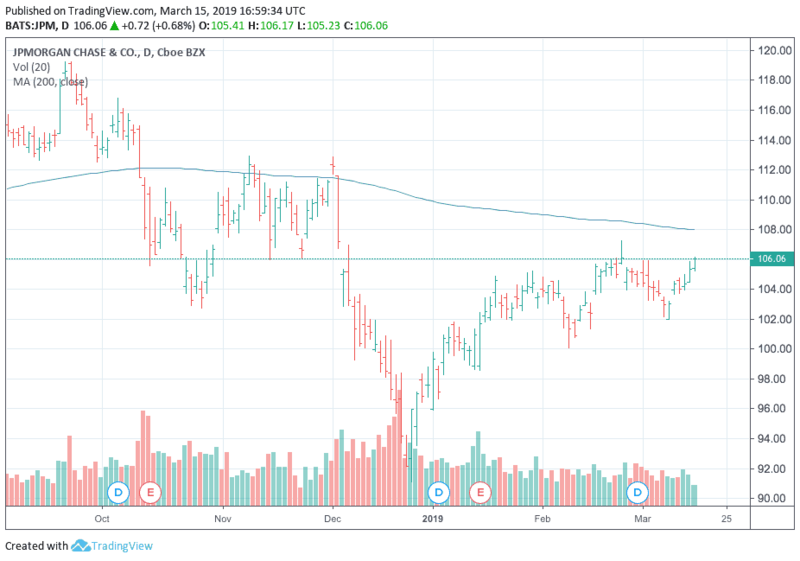 Technically, Boeing has not yet retreated to its 200-day moving average, so most investors who have bought the shares over the last year still have a profit. While Boeing retreated, Airbus SE (EADSY) advanced. Airbus analysts also predict greater than 20% growth, but selling at a significant multiple to intrinsic value, Airbus was no bargain . 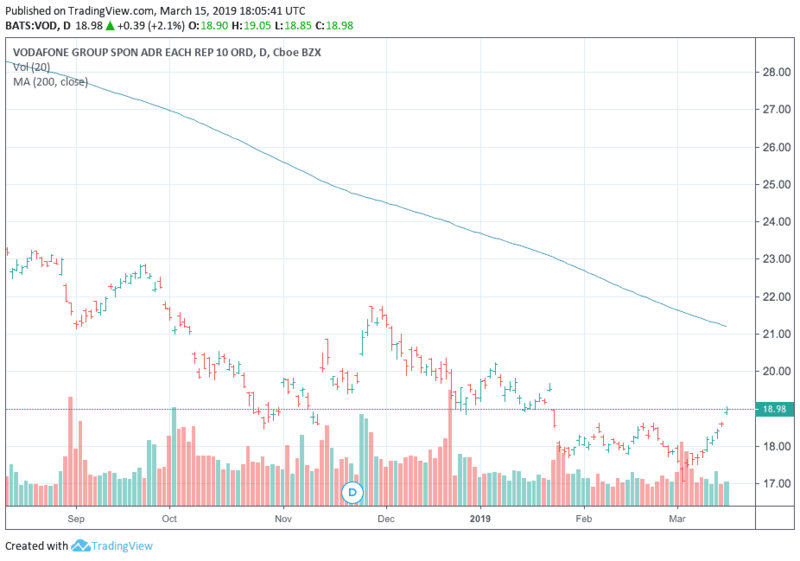 Airbus, which closed 2018 at $23.78 per share had risen 40% by March 15th. 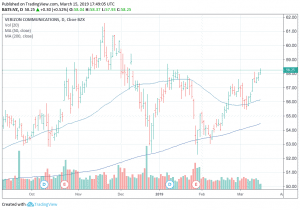 On the chart, Airbus broke through its 200-day moving average in January and went on to establish a new all-time high. JPMorgan Chase & Co. (JPM) is the largest bank in the United State and the 6th largest in the world after five Chinese banks. It pays a dividend yield that is higher than the benchmark US Ten-Year Treasury Bond, and that rate has been growing at an average of 15%. Analysts expect earnings growth in the single digits, but banks do well in times of rising interest rates because they lend at higher rates while delaying increases in the interest rates they pay out. 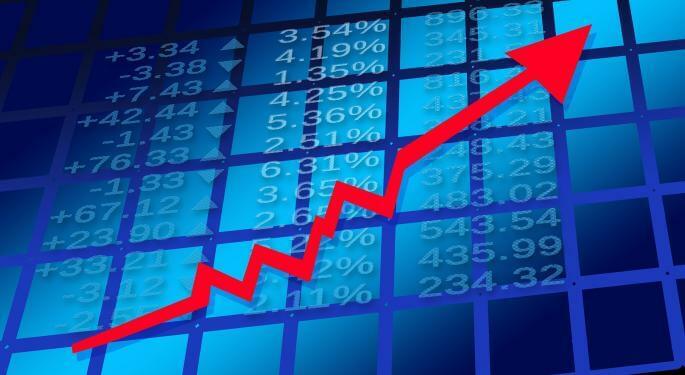 The shares began in a definite downtrend after they reached their all-time high in September of 2018. Barclays PLC (BCS) is the second-largest bank in England after HSBC Holdings (HSBC) which was founded in Hong Kong. 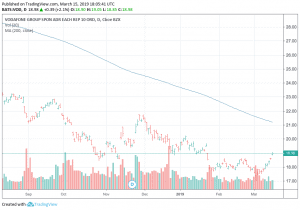 Barclays’ low share price does not indicate value as it is selling at over 23 times current earnings, and both earnings and dividend growth have been negative. 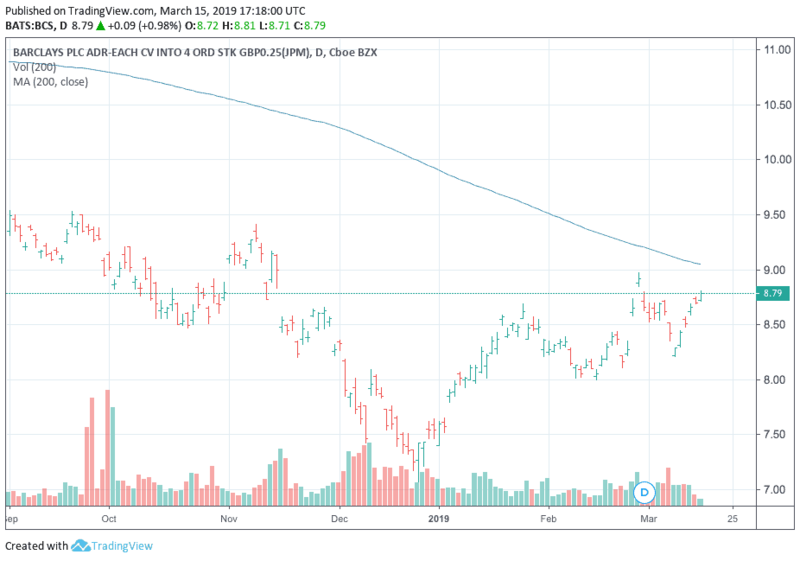 Barclays’ chart shows flattening, but the 200-day moving average seems to be approaching the share price rather than the other way around. Verizon Communications Inc. (VZ) was formed as the result of a 1999 merger between Bell Atlantic and Vodafone (VOD). Verizon had over 150 million subscribers as of the fourth quarter of 2018, 10 million more subscribers than AT&T and more than twice as many as T-Mobile US. Very much like an electric utility, its revenue is secure—no one gives up their phone. It pays an attractive dividend that has been growing and is trading at a discount to its discounted cash flow intrinsic value. 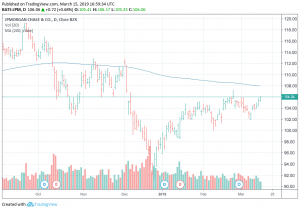 Verizon was on the verge of entering a solid uptrend, trading above both its 200-day and 50-day moving averages. 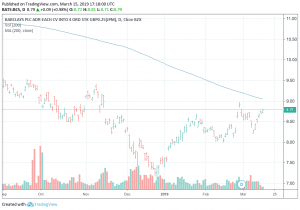 Vodafone Group PLC (VOD) has been in the wireless telephone business as long wireless telephones have been available, but lately it has struggled to produce profits. Their earnings growth has been negative, but they do pay an attractive and growing dividend that is double the US Ten Year Treasury and a multiple of the UK Ten Year Gilt. The VOD chart offers no sign of share price recovery. Symbol Company Price EPS P/E PEG Est. 1.Everybody loses. Even Warren Buffett—Heinz (HZ). Successful investors cut their losses and let their winners run. William J. O’Neil suggests taking losses of no more than 8%, but really, the sooner the better. 2. Do the fundamental research first. Get an idea of the shares’ intrinsic value before considering whether to buy it; a mistake does not need to be a drastic loss. 3. Technical research is a measure of crowd psychology. A moving average is merely a measure of happiness. If the share price is above the line, most recent buyers are happy with their purchase; if not, they’re not. Happy investors hold, unhappy ones sell. A demo account simulator, like eToro’s practice account, allows for experience and learning without risk of real loss. Real losses are the best way to learn, but they do not have to be devastating. Spend some time on the practice squad before entering the big game. 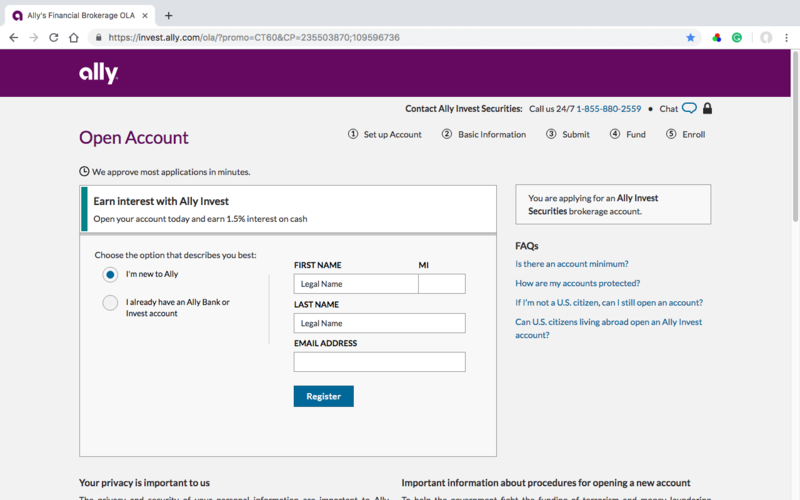 A great stock-trading platform, like Ally Invest, includes an education center with articles on general investing topics, and more specific information on asset classes. 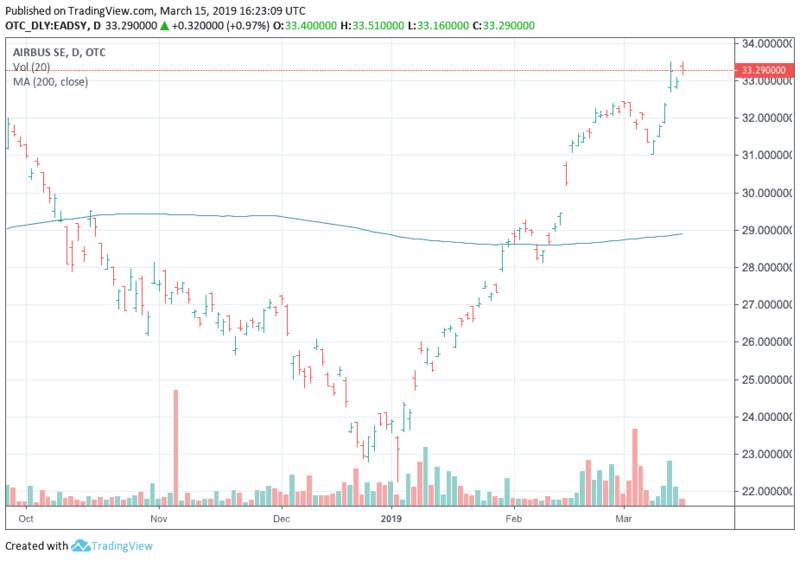 The Ally site also includes two stock screeners: one for fundamental and technical research, and the other for backtesting an investing strategy. Stock trading software for traders is as essential today as once was a telephone. MetaStock offers technical indicators, chart drawing tools, integrated news, fundamental data, and global markets coverage across multiple assets: equities, derivatives, Forex, futures, and commodities. It costs $99.00, but avoiding one bad trade will pay for it. Stock trading companies are in business to make money for their owners, not their clients. Where Are the Customers’ Yachts?, first published in 1940, presents a valuable lesson for any investor today. Research the broker before making the trade and remember: you get what you pay for. Burton G. Malkiel, in his A Random Walk Down Wall Street, recently updated but first written in 1973, attempts to persuade investors to avoid buying individual securities and instead invest in index funds. He has not succeeded but keeps trying in this fourteenth edition. The book covers technical and fundamental analysis, modern portfolio theory, behavioral finance, and portfolio construction; all with the intention of presenting the futility of each. William J O’Neil’s How to Make Money in Stocks combines fundamental and technical analysis into one package which he terms CANSLIM: Current earnings, Annual earnings, New products, markets, or high stock prices, Shares outstanding, Leader or laggard, Institutional interest, and Market condition. 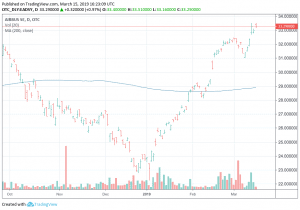 His daily publication, Investor’s Business Daily and its Investors.com website apply CANSLIM and its momentum theories to everyday market developments. 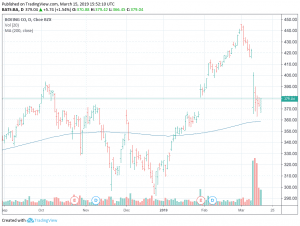 Morningstar is not just for mutual funds; it covers stocks so well that Yahoo Finance uses Morningstar for much of its stock market technical and fundamental statistics. Morningstar allows a free user to build a portfolio and track it in real time. Its Instant X-Ray feature allows an investor to peer into the best performing actively managed mutual funds to find out how they do it. Fundamentals like intrinsic value, margin of safety and fair value are difficult calculations involving many choices of variables along the way. Gurufocus.com is a one-stop shop for many of the most mysterious calculations that financial analysts perform. Much of the information is free, but the pay site is also a worthwhile investment. Look both ways before crossing the street is great advice that many a dead pedestrian are not here to remind us of. But in terms of risk versus reward, there is no better tool for growing wealth than shares of common stocks. Over the last ten years, the Standard and Poor’s 500 Index has returned over 16%. Since its inception in 1976, the Vanguard 500 Index Fund Investor Shares (VFINX) has returned 10.72%. At that rate, money doubles every seven years, but first the money must be invested, and that’s the hard part. This order is designed to limit losses or in some cases to lock in a certain level of profit. As soon as the price of the security hits the stop-loss price (or falls below), the order becomes a market order. What are the stock trading market hours? In order to prove that an investor indeed lives at the address entered in registration an uploaded copy of a current utility bill, like electricity or water, proves address. The Conversion fee is a small percentage charge deducted for the currency conversion when there is a discrepancy between the trading account currency and the quoted currency of the underlying asset. In the United States, the Securities Investor Protection Corporation (SIPC) provides protection for accounts up to $500,000 (including $250,000 for claims of cash) per client. In Britain, The Financial Services Compensation Scheme (FSC) provides protection for up to £85,000. Can I transfer my current stock trading portfolio? Any portfolio of publicly traded securities can be transferred. It is up to the receiving firm to process the transfer and to determine which securities it will accept. Margin requirements involve how much a brokerage firm will lend and at what interest rate. In the United States, the maximum a firm may lend on common stock is 50% of the value of securities currently held. The individual firm sets the interest rate. Yes. A Corporate or Partnership Account can be registered with the incorporation details or partnership agreement of the company. 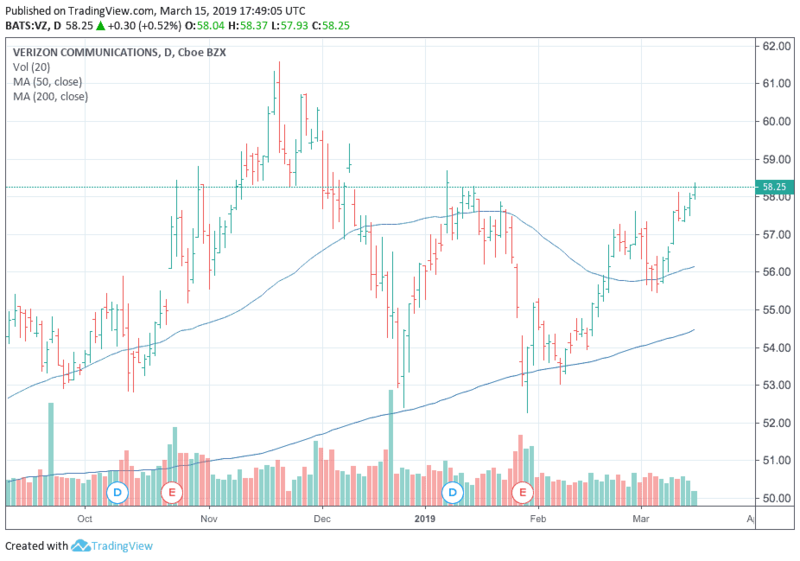 9 Which Stocks To Trade? Hello there, I am thinking about giving eToro a try, I’ve heard great things about it. How do I sign up on it exactly? Hi. 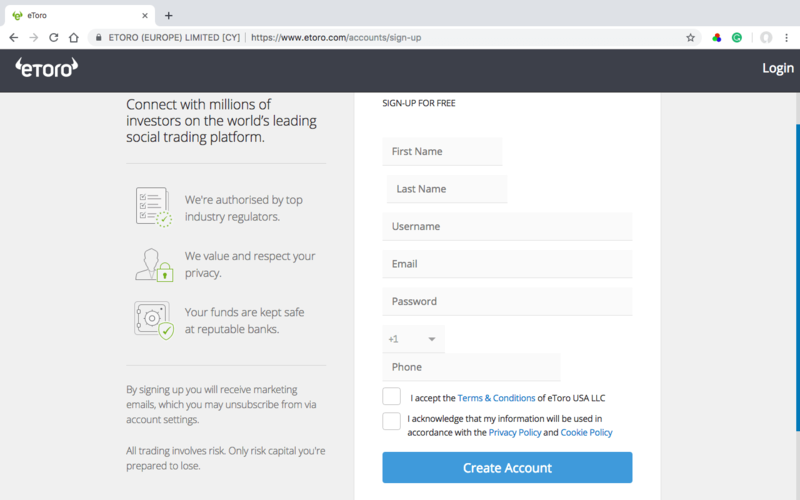 To sign up on eToro you will have to go on the official website, type in your first and last name, email, and phone number. You will also have to create a username and password. 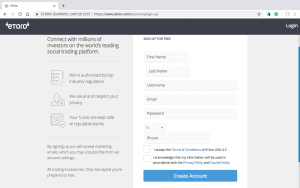 Once you’ve done this you will be registered on eToro but you will still have to provide proof of your identity and fill in a questionnaire, but that shouldn’t take more than a couple of days. 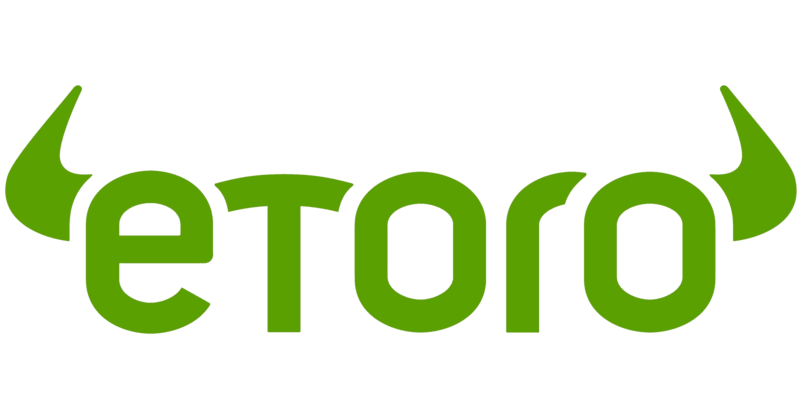 You can find out all the information you need on our eToro review. Which trading exchange charge lowest commissions on trading ? 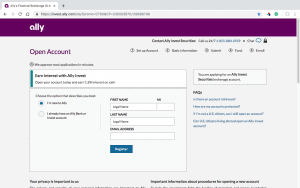 I am thinking about switching to Ally Invest from eToro. Which one works better for you?